Partake in an engaging and personalized tour of historic Mobile with your guide, L. Craig Roberts, Architect, AIA. Choose from three informative and interesting outings tailored to you and your group. This 3-hour tour features architectural highlights from one of America’s oldest cities. 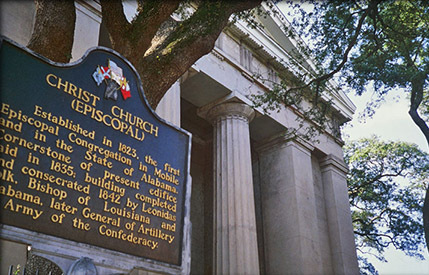 Visit two of the oldest churches in the South: The Cathedral of the Immaculate Conception, actually proclaimed a Minor Basilica by Rome, of which there are only 64 on Earth, and Christ Church Episcopal Cathedral, which houses the finest collection of antique stained glass windows in the nation. 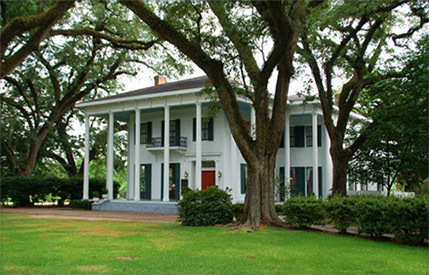 See 600 square blocks of historic districts containing over 6,000 listings on the National Register of Historic Places and five antebellum museum homes you may choose to visit later. Opening times and weather permitting, we will visit the city’s oldest graveyard and Joseph Stillwell Cain’s grave, usually covered in Mardi Gras beads and doubloons. Cain revived Mardi Gras after the War of the Northern Aggression. Time permitting, we will visit the only Carnival Museum in the country where you’ll learn all about Mardi Gras which had its American beginnings in Mobile 311 years ago! This is an extension of the Seven Historic Districts Tour. After completing that expedition, we’ll take you ten miles west of downtown to an upscale neighborhood steeped in history. Originally a Spanish Grant to a wealthy Mobilian and divided into five-acre lots, wealthy families settle there, building mansions on this site which is over 200 feet above sea level. Eight antebellum mansions remain, as well as the oldest institute of higher learning in the state and one of the oldest Jesuit schools in the nation — Spring Hill College. On this campus sits a Gothic Revival chapel definitely worth seeing. If you’re staying in downtown Mobile, we’ll begin the tour at your hotel. Otherwise we will meet at the Mobile Carnival Museum at 355 Government Street. 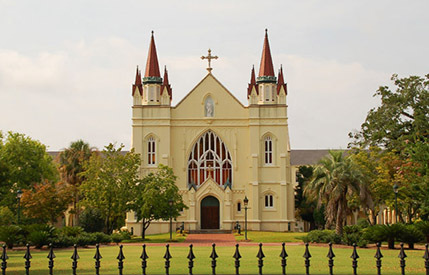 This excursion will take you to two historic churches, one a Minor Basilica and the other housing the finest collection of antique stained glass in the nation. We will also walk through historic parks, such as Bienville Square and Spanish Plaza. Many significant historic buildings will be discussed. In addition, you’ll receive a personal tour of the Mobile Carnival Museum since, after all, Mobile IS the birthplace of Mardi Gras in America!